Guiding you under the powerful full moon’s rays, Lilian takes you into a realm of new ideas, perspectives and realities. Getting the power surge of the full moons energy, you can let go of all that doesn’t serve you this day onward. Be inspired and in awe as you set the energetic imprint on the day/night of the full moon. Use this energy with deliberation and a knowing that you are fully being supported in your visions. The ancient art of manifesting has been known to the Native American Indians for centuries. All over the world, several native groups have understood the power of a full moon as they continue to engage in this long-standing tradition past down from their ancestors. They understand how best to utilize the full moon’s energetic force and other worldly secrets naked to our rational minds. Studies have been conducted in several countries focusing upon such esoteric rituals like full moon rituals: Results have astounded many in the western scientific community who reported upon the way in which everything manifested/unfolded- a direct result of such a ritual (moon rituals). Lilian B. Eden is an internationally recognized Intuitive/Medium, Hypnotherapist and Author. Visit www.lilianeden.com for more information about her work and services. ” February has been a most intense month in terms of Energy shifts and transformations. This seems to be a new pattern, as February 2014 was also intense and powerful. The year the energy has intensified through this month, culminating on the 22nd of February 2015. This has not been a Solar phenomenon alone. although the Sun has been in the process of activating a new Light Body structure as well, but the primary source of these transmissions is the Star system of Sirius. Sirius has been a part of the creation and evolution of Earth for many star cycles. There is a “partnership” between the Sirian Council of Light and The Earth Councils that has been renewed to allow the Sirian Masters and Teachers to continue to provide their expertise and guidance on matters of Light Body evolution and design. The Sirian Master Teachers, acting through the Atlantean and Egyptian Sacred Schools, imparted to Earth an understanding of the nature of the creation techniques used by the Elohim and and the Archangels, as well as the design and function of the Human Angelic Light Body and its relationship to Time and Space within different Dimensional Frameworks. In this most recent partnership, the Sirian Masters have assisted in transmitting into the New Earth Diamond Grids the Light Codes for the first Major upgrade of the Diamond Light Body. This upgrade is intended to fine tune the Light Body for its new function as a Multi-Dimensional Vehicle of Light. Intense waves of Light are being transmitted from Sirius that carry the wave patterns and frequencies of the new Light Body calibrations. This has been one of the reasons why there has been so much snow in the northern hemisphere. The Light Codes are being held and transmitted in the crystalline shapes of the snow crystals. This vibration and pattern is then transmitted into the Earth where it becomes part of the Earth’s Memory Bank that is held in the Crystalline Diamond “Data Bank” at the center of the Planet. The information is being transmitted and received primarily through the Polar Star Gates at the Arctic and Antarctic. This means primary transmissions are being received by Lapland and Northern Russia, as well as Canada, and by the Southern countries of New Zealand, Australia, Argentina and South Africa. Powerful waves of incoming Light Codes are being grounded by Light Warriors and Light Workers in these places, as well as by others in strategic Sacred Sites and Cities on the Earth. Everyone will feel the effects of this incoming transmission to some extent, especially if they are also sensitive to Solar radiation. But the effects of the Sirian wave will be felt only in so far as the Pineal Gland is active and working to receive the transmission. A person whose Pineal gland is inactive will feel the waves as instability and anger and collective “irritation”. If the Pineal Gland is engaged and working to transmit the energies, then the symptoms will be different. The Pineal gland will receive the powerful Light Codes and then transmit them into the Light Body and the DNA structures of the physical body. Because the “voltage”of the Light Codes is so high, there may be side effects such as dizziness, nausea, insomnia,muscle spasms, anxiety and bad dreams. These will be temporary symptoms as the Body and Light Body adjust to the new frequencies that are enabling Multi-Dimensional consciousness as a “real” experience. This is an image of the Sirian “Eye of Horus” symbol that was taught to initiates in the Ancient Egyptian Mystery Schools by the Sirian Masters. The image shows how the Pineal Gland in the Human Brain was the primary location for Creation and Manifestation, which was the meaning and purpose of the “Eye of Horus” symbol. So, when the Eye of Horus or Pineal Gland is powerfully activated by Light transmissions from the Star system of Sirius, it means that a powerful energy of Creation and manifestation is under way. The Earth Councils are receiving New Templates for Higher Forms of LIfe and Consciousness on Earth. So, you will understand that the more powerfully you are feeling the effects, the more you are a part of this wave of New Earth Reality creation. Those who are not receiving the transmissions will continue with their lives in the Reality framework that they know, until they are ready to graduate to the Multi-Dimensional framework that is being implemented right now. There are many Guardians and Spirit Helpers busy right now, the primary one being the Archangels and the Dolphin/Cetacean Angels. The Dolphin Angels are Beings of Light that come from the Andromeda Galaxy via Sirius to work with the Earth. 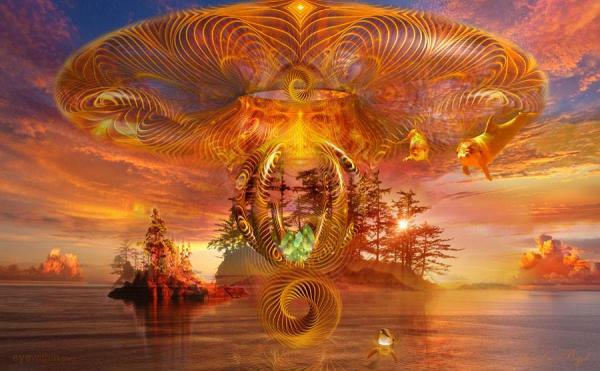 They carry the Golden Light Frequency of the Christ Consciousness, as well as the Diamond Light Frequency that is needed for Multi-Dimensional travel. They are Guardians and Masters of the Time Loops and Time Spirals that are the basis for a Mastery of Time Travel and Creation in the HIgher Frequencies. Their Loving energy is assisting Humanity to begin the Mastery of Time Travel and Higher consciousness. The New Light Body upgrade creates a Multi-Dimensional Geometric vehicle of Gold and Diamond Light. This vehicle is composed of “Grid” levels and “Flow” levels that allow the Being to shift between the different dimensions of Light and Consciousness, while still staying grounded and centered in the Heart/Earth Star/Earth Heart Connection that is vital for life in the New Reality. The “Grid” levels are geometric structures that create the Templates for a specific dimension, and the Light Body allows the person to connect into that dimensions if the grids are in place. The “Flow” dimensions are constituted of pure energy that flows between the grids and can be experienced as movement and emotion/feelings. These two aspects of the Light Body work together to create the Multi-Dimensional Vehicle. This vehicle is centered on the Heart, and it is from here that all Conscious Creation originates as the center of Balance. When you are in that Heart Center, then you are in the Space of No Time and No Space, the Divine Consciousness of Love and Compassion. When you begin a Creation you begin to work with Time and Space, depending on the level you have chosen and the creation that you wish to bring forth. As you become accustomed to this “recalibration” you will release the old 3D notion of time as a linear flow from past to present to future, and you will begin to see that Time is a Spiral or circular energy that can move in any direction at any moment depending on individual and collective choice. This image gives the clearest expression to the idea of Time and Space Flow in a Multi-Dimensional context. Past and Future are always in Flux, and you can at any moment be moving towards either the “past” or the “future”, or both simultaneously. You can exist in many realties and timelines simultaneously, and the choices that you make will affect your essence and being in all of them. The choice you make define your Reality in the Now Moment….the Fulcrum of all Time and Space. As you work with these new upgrades and you begin to embody the new Light Body, you will open to the realization and perception of the Multiplicity of experience and being. Some of you will become fully conscious Time Travelers and you will begin to move between parallel lifetimes in a conscious way. You will begin to understand how the future shapes the past from the present, and you will become empowered to participate in this ongoing creation of Light and Love. You will embrace all that you are and the “Magic” of your Being on all levels of creation and light. As you embody this new light from Sirius, the Sirian Masters inform us that it is very important to do deep breathing as you focus the energies. The Heart Center is under pressure to integrate the full power of the Light Codes, so breathing into the lungs helps to expand and balance this area of the Body and Light Body. Find a quiet place to sit. It is better to sit for this meditation than to lie down, as the powerful energies need to flow down your spine and into the Earth. Focus into your Heart center and begin with deep breathing…….breathing in and out and allowing your breathing to slow down until your body is quite relaxed. Open your personal channel into the Earth through your Base Chakra and down into the Earth Star Chakra and into the Heart of the Earth. Breathe in harmony with the pulsations of the Heart of the Earth Mother as she aligns with the Cosmic Heart. Bring that Energy back to your Heart and breathe deeply. Now, open the channel upwards through the Crown Chakra and the Soul Star Chakra and up to the Cosmic Hear, breathing in harmony with the Divine Heart. Bring your focus back to your Heart. Now you are aligned and grounded. 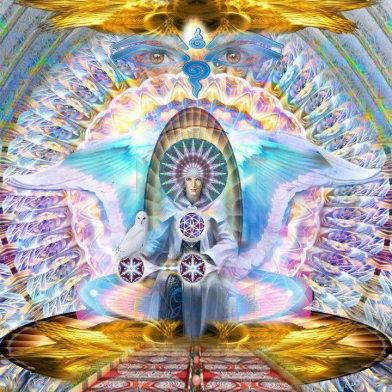 You can now call in the Sirian Masters, the Dolphin Angels, the Archangel and the Elohim, if you so wish, to work with you, or any Star Masters that you wish to assist you at this time. Open your Pineal Gland to receive the Light Code transmissions from Sirius. As the Light floods the Pineal Gland and moves through the body, keep breathing deeply and grounding the energy through your body and into the Earth. Just simply keep breathing and grounding, until your body feels balanced and calm. You may need to continue doing this throughout the day until the Light Codes are integrated. Also, you may need to rest, sleep and enjoy quiet time alone. Drink lots of water and stay hydrated. Bathe or shower frequently. You may enjoy a bath in Pink Himalayan Salt Crystals. As we go through this Solstice gateway, things will amplify at such a scale that is of major importance to become more aware of our creations. The reason why things will amplify is in order for us to get more clarity and insight on them. It’s bringing the unconscious to conscious. By becoming aware of the unconscious in the Now you can ask yourself ” Is that what I want to create ? Is that what I want to embody ? ” If so, set your intentions straight related to what you want to create and allow your creations to manifest naturally, allow the Universe to take care of the details. All you have to do is be aware in the present moment of Now and surrender to all that is. At the same time, deep ingrained in the unconscious we might hold lower vibrational stuff (fear), so that might surface as well. This gives you the opportunity to transmute it and align yourself with a higher vibration. The Universe is neutral, it doesn’t make the difference between good or bad, because there actually isn’t, that’s an illusion. So, energy flows where attention goes, as in we manifest the energy we feed, the one we focus upon and therefore we align ourselves with that vibration through the power of choice. By becoming more aware, you become more responsible for that which you bring into the world. What do you choose to bring into your reality, into the world ? Make a clear statement about it, state it outloud even. Feel that. It is a simple way of setting intentions after all. Work on the shadow self is not excluded these times either, it is actually quite probable that happens. It is time to accept, embrace, love and transcend certain aspects of ourselves that until now felt too uncomfortable to deal with, so we ignored them. You are whole, but in order to become wholy-er, you have to acknowledge and embrace all you are. See yourself through the eyes of divine perfection, not through the mind’s perception. All this is a beautiful process though, but not the easiest one. This shadow work is done on an individual level, but also on a collective one, as they go hand-in-hand. The collective shadow work can be quite intense, as we’ve gathered a lot of “shadows” throughout the milleniums, so make sure you nurture yourself through it. In terms of Soul purpose, many will be guided to new “paths”, new directions, possibly unfamiliar to them until now. Have you been having thoughts lately about starting something new ? Now is the time to do so. Courage is needed to stand straight in the unknown, in the void, a lot of dedication, trust and faith as well. It is not easy work, I’m telling you, but this is the place of creation, this is where the true magic happens,and be rest assured that you will not be dissappointed by the outcome of it. Now let’s not get too serious. We are entering a third month cycle, till the eclipse approximatively. It feels like the most exciting, fun and joyous one so far, most likely because of the Unity Consciousness that is currently taking Humanity by storm. 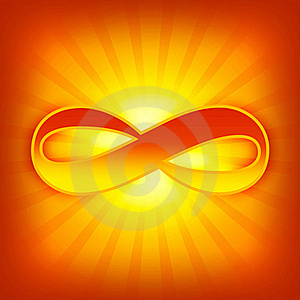 The pioneers of ascension have connected and anchored the Unity grid strongly within themselves and into the planet now. They are conduits for the Unity codes and these codes radiate through their whole beingness, it’s in the DNA and once activated, these people act as facilitators for the physical manifestation of Unity Consciousness. Now that the pioneers are “in place”, it will be easier for others to follow the path of Unity, to activate and anchor deeply the Unity codes within their hearts. This is happening at an accelerated pace now and as more and more people go through that process, the physical changes will become more and more aparent. This is the great shift, fam! This shift, however, is ongoing, has many smaller shifts and eventhough in linear time it’s spread over the years, it’s all happening Now. This is the road to a peaceful Earth, to harmony between its inhabitants and to all the dreams we’ve been carrying deep in our hearts, in our DNA. This is the Divine Plan and not only that all are part of it, but all are it, whether aware of it or not. Remember ? If not, you will at the right time. We are currently being upgraded. These, again, depend on each individual. Some are receiving the upgrades now, some choose to receive the upgrades lately, and everybody receives them differently in a unique way. It doesn’t really matter. Because it is an individual process, make sure you don’t compare your experiences with other’s experience. Yes, there might be similarity, but in the end, you always have to go within yourself to get clarity. No one knows you and the way you function better than yourself, your Team and Highest Self. These upgrades will simply help you integrate and hold more Light within your beingness, so it facilitates expansion, however that is expressed in your reality. Our lightbody keeps integrating deeper in our physical body, our “bodies” are merging into One and it keeps expanding. We are becoming grander and grander, not that we aren’t already, but we are embodying divinity, more spirit as humans. How amazing is that ? There has been some significant solar activity today that’s supporting our metamorphosis, coincidentally (not really) right before the solstice. The Sun facilitates the integration and processing of all the upgrades. As always, make sure you hydrate well, so the energy flows freely and be gentle with yourself and your body as it’s going through these intense upgrades. Simply listen to your it, it will tell you what it needs. Be open to receiving these upgrades, we need them for the next chapter of Ascension. Let go of projecting yourself in the future. Observe yourself and ground yourself in your body in the present moment of now. Use the energies of the Solstice and the solar activity to purify. Don’t worry about the future, don’t worry if you are doing the “right” thing, if you are headed the “right” direction, it is all a waste of energy and a big distraction from living. In order for your Soul purpose to manifest naturally and effortlessly, your presence is needed. So, stay present in the moment and all will be revealed to you in divine timing. 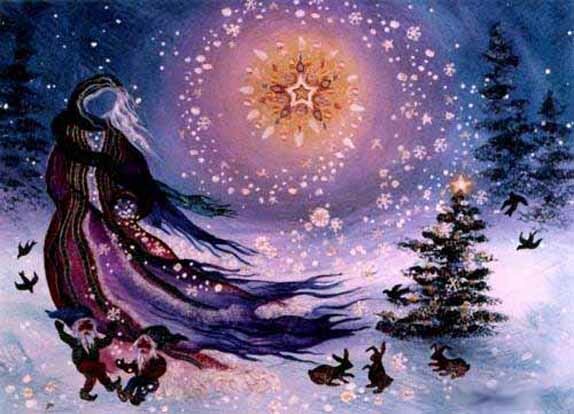 Happy Solstice and celebrate each moment!